Login to our portal to gain access into your account. We are Gore Capital Management. We are not your typical financial advisors, any more than you are a typical client. You are unique, your situation is like no one else's, and your financial roadmap should reflect that. Money is a highly personal matter and we take your trust in us quite personally. That's why we consider ourselves partners in our clients' futures, and not just in a financial sense. Now, we don't expect the words on these pages to convince you that we're the answer to your financial prayers. That sounds a little daunting even to us. But if you're looking for a fresh, highly personal approach that makes you a partner in your financial future and not just a bystander, read on. We think you'll like our style. 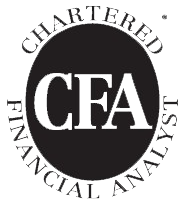 Check the background of our financial professionals on FINRA's BrokerCheck. Copyright © 2019 Gore Capital Management. All rights reserved.